Still a lot of traders believe that Renko charting is a niche technique used only by few traders. 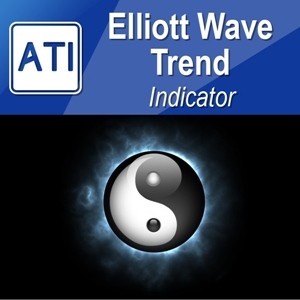 Many traders are probably too comfortable with the default candlestick charting offered from many charting package. You may feel sufficient to use candlestick chart only, however, when you learn the advantages of Renko charting, you may reconsider your option to use renko charting or you may not. After all, this is not an article to promote any Renko charting package but rather we want to be informative for newbie. Anatomy of renko charting is very simple. With an up brick (i.e. blue brick), it tells you an upward trend and with a down brick (i.e. red brick), it tells you downward trend. Only thing matter in simple renko charting is the brick height because Renko chart made from stacking up or stacking down one brick over another. Is there anyone who does not understand this simple principle? This is really the basics of renko charting. Indeed renko charting is there to make trading simpler and easier. It is not a rocket science or complex piece of math. So to elaborate further, while normal candlestick chart does not tell you what current market trend is, renko chart does tell you the trend. Plus renko chart always inform you that how much market moved as bricks are always drawn in regular interval. Simpler looking chart contains such a useful information is really a good thing. One of the good property of renko chart is that it reduces a lot of noisy from normal candlestick chart. Normally a lot of fuzzy and dirty candlesticks can be compressed into fewer but clearer renko bricks. So it does help a lot with pattern detection. For example, what you might miss in your candlestick chart, you are unlikely to miss in your renko chart if you need to detect some patterns. If you are serious traders, then having some good grip on your chart is necessary just like a racer needs a good grip of his steering techniques. So many good traders uses renko chart for various reason. It is also possible to trade based on renko trends too. In this article, we will only cover the advantage of renko charting for pastern detection only. Figure 2: Portion of candlesticks compresed into renko brick. 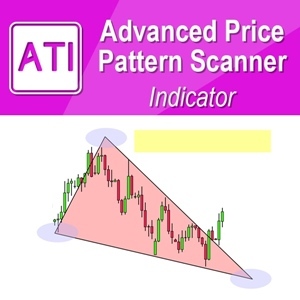 Algo Trading & Investment (https://algotrading-investment.com) offers quite various pattern detection tools including Harmonic Pattern Plus and Price breakout pattern scanner. Lately we have added renko filter in both tools. So let’s briefly explain what the renko filter is. In fact, if one uses real time renko, trader can have a 100% independent and dedicated renko chart. 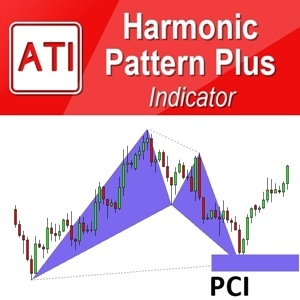 In such a case, one can just attach Harmonic Pattern Plus or Price Breakout Pattern Scanner for perfect pattern detection. Many traders really like this setup. So clear in terms of trading signal and of course highly profitable too. 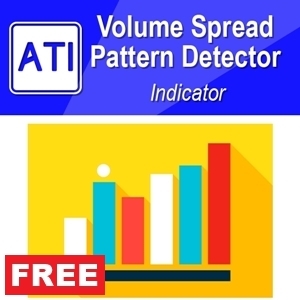 The reason that harmonic pattern plus or price breakout pattern scanner can detect clearer pattern with real time renko chart is due to the reduced noisy in the data with renko charting. However there are cases, people does not want to use a 100% independent and dedicated renko chart. For example, if they have some setup working on candlestick chart only, then they may not want to make their trading decision solely based on renko chart even if they are using harmonic Pattern plus or price breakout pattern scanner. For example, if you prefer to use Market Profile with Harmonic Pattern Plus, then it is not possible to display the market profile with real time renko chart. 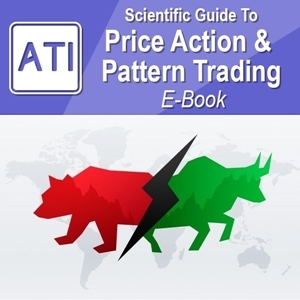 Naturally the trader will use harmonic pattern plus and market profile on candlestick chart (market profile is one feature included in the mean reversion supply demand indicator). In fact renko filter is there to mimic how harmonic Pattern plus detect patterns as the harmonic pattern plus is applied to real time renko chart. That is detecting pattern in less noisy environment. However use of Renko filter is optional for Harmonic Pattern Plus or Price Breakout Pattern Scanner. You can always switch on or off. When you switch off the Renko filter, then it will detect patterns using top and bottom peaks in the candlestick chart. In fact, this is what most of pattern detecting package does, detecting pattern over pure candlestick chart. Indeed the renko filter is one of our efforts to offer more complete trading solution to traders. Amount of computation and complexity of algorithm increase a lot with adding the feature of renko filter in our harmonic pattern plus and price breakout pattern scanner. One thing to note is that use of renko filter will improve to detect more complete pattern for trading. However, the detected patterns will not necessarily 100% identical to the case of using real time renko even though Renko filter will still filter out many bad patterns. Its pattern detection still departs from normal candlestick chart and in post processing stage, the detected patterns are compared to renko chart for further eligibility. Even though Renko filter does not perfectly emulate the pattern detection process with the 100% dedicated and independent renko chart, trader will be able to see that the detected patterns perform better for their trading. Unless you are just happy with trading without this renko filter, you will need to know how to set you Renko Filter properly. In the past, we have tuned both our Smart Renko and Real time renko to draw bricks at identical levels regardless of starting points or different brokers if you are using the brick height as the factor of 100 pips, 1000 pips or 10,000 pips. We have mentioned in the past that standard deviation is one of the sensible brick height for any instruments. You can simply measure the one standard deviation brick height with our Smart Renko or Real Time Renko. To do this, set “Brick height Mode = 1” and “Brick Height Value = 1.0”. This means that Smart Renko (or Real Time Renko) will use one standard deviation of the instrument as the brick height. For example, when we apply the setting to USDJPY H1 timeframe, we get 15 pips for one standard deviation brick height. Note that 15 pips is not the factor of 100 pips. In this case you have choice to round up or round down. Both cases are acceptable. 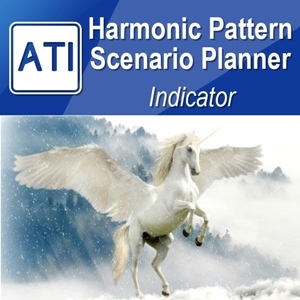 When you round down to 10 pips, Harmonic Pattern Plus generally detect more patterns than the case of 20 pips. For further example, when we apply “Brick height Mode = 1” and “Brick Height Value = 1.0” to H4 timeframe of USDJPY, we have 27 pips as the one standard deviation brick height. 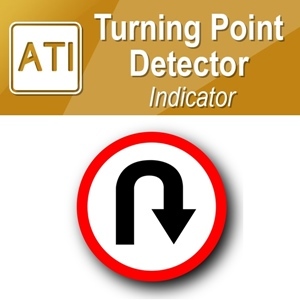 In this case you have choice to round up to 50 pips or round down to 25 pips. Both are acceptable. When you use the 50 pips brick height, the renko filter will remove more patterns leaving your fewer pattern to trade. Also detected pattern size might be bigger than the case of 25 pips. Figure 8: Smart Renko Setting to apply one standard brick height. For major currency pairs like EURUSD, GBPUSD, USDJPY, etc, their scale for standard deviation are in same order of magnitude. However for commodity or stock, the scale can be very different from currency pairs. For example, for Gold against US dollar (i.e. XAUUSD), the “Brick height Mode = 1” and “Brick Height Value = 1.0” returned 246 pips as the one standard deviation brick height. So both 250 pips and 500 pips are acceptable. Below screenshots shows the detected pattern using the renko filter with 500 pips brick height. If you don’t have Smart Renko or Real Time Renko, you can still get standard deviation for any instruments either using Microsoft Excel. Even some analytical website offers the standard deviation for each financial instrument for free of charge. For price breakout Pattern Scanner, generally the same process is required to Harmonic Pattern Plus for renko filter setting. 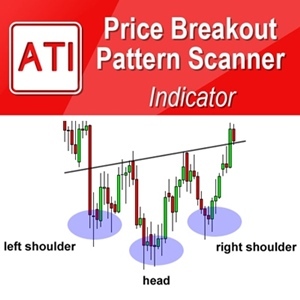 However, for price breakout pattern scanner, we recommend to round down the one standard deviation brick height. Otherwise you may have too fewer patterns to trade.